American trumpeter Jon Faddis appears at the Durham International Brass Festival with North East bassist Andy Champion's Quintet on Tuesday 15th July. The event, which is a commission event in partnership with Wigan Jazz Festival and Jazz North, also features Adrian Tilbrook, Graeme Wilson, Chris Hibbard and Paul Edis. 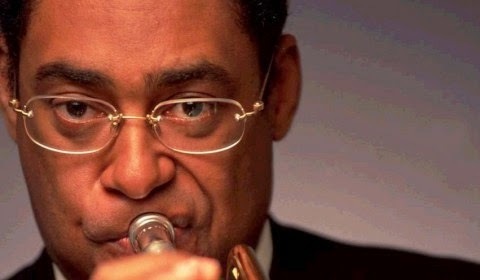 Once declared the ‘best ever’ by his mentor Dizzy Gillespie, Jon Faddis evokes the sounds of Louis Armstrong, Roy Eldridge and Miles Davis, all the while remaining true to his own. This internationally-renowned trumpeter extraordinaire consistently demonstrates an unparalleled range and makes the practically impossible seem effortless. Faddis began playing the trumpet aged just seven, and in his forty-plus years as a professional musician, he has performed with Gil Evans, Charles Mingus and the aforementioned Gillespie amongst others. Faddis has recording credits on well over 500 albums including early duets with Oscar Peterson and Eubie Blake, soundtracks for film and television and the Grammy-nominated Remembrances. Full information on the line-up for this year's festival plus details on how to book tickets can be found on the Durham International Brass Festival website.